The Earliest Known Joiner Shop in the US is Discovered! 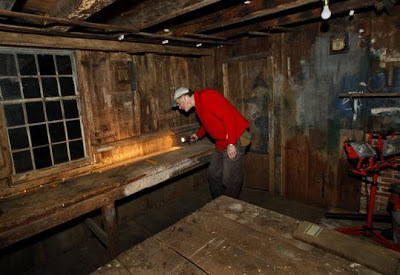 The earliest known joiner and cabinetmaker’s shop on its original site anywhere in the United States was recently discovered in Duxbury, Massachusetts! Rob from The Offcut emailed me that Peter Follansbee had posted about this workshop earlier this summer. Click here for more information and photos!